The airflow dryer manufactured by Shuliy Machinery is very important equipment in the whole charcoal machine production line. 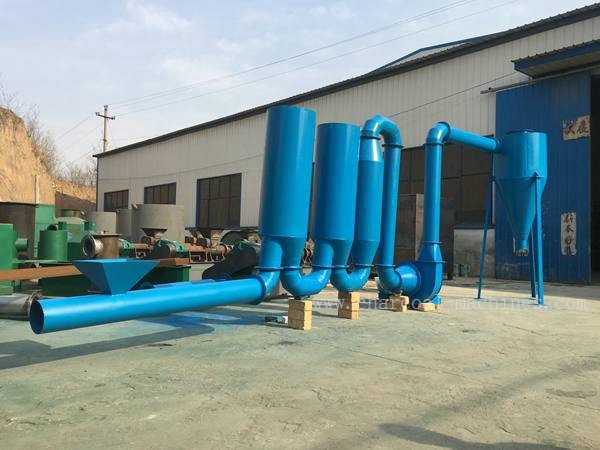 Airflow dryer mainly used to dry wood chips with a size of less than 5mm and reduce the moisture to 8-12% through the airflow pipe. The wood chip can be processed in the next step. 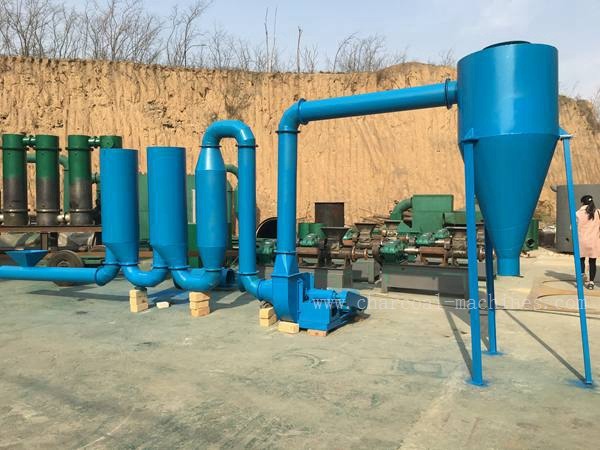 The principle is that the hot gas is circulated through the pipe by burning the combustible material through the air flow, which is the raw material and the hot gas fully contact, thereby achieving the effect of the wood chip drying. 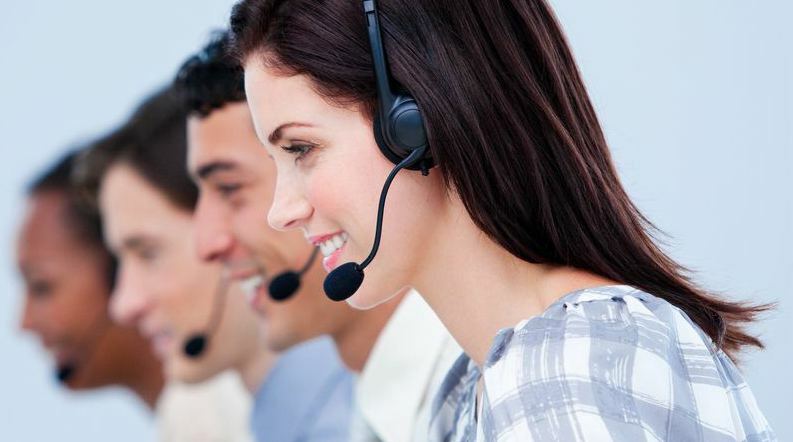 The equipment is ancillary equipment, and its production line is widely used. 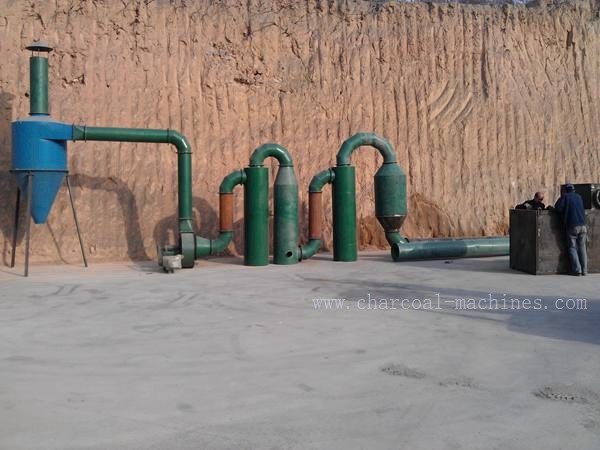 Airflow can be used for barbecue charcoal, converting waste energy into new energy, or as a new fuel, airflow dryer is very popular in the market. It is the primary choice for small production lines. 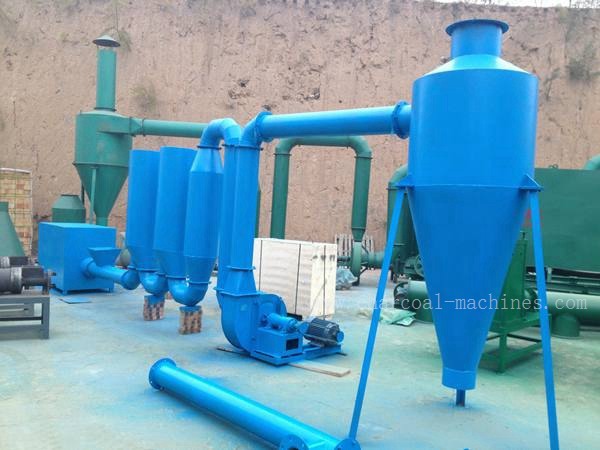 The drying efficiency is high and the raw materials can be in full contact with the gas flow. Airflow dryer is separated during installation and is easy to transport.